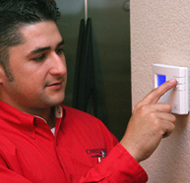 Christianson’s air conditioning and heating services are performed by highly trained service professionals. When you call Christianson, you can be assured we will send more than a service technician; we will send an expert in air conditioning and heating systems. At Christianson, we understand that A/C and heating systems are much more than an optional convenience—this type of equipment plays a major role in helping us maintain a healthy lifestyle. Air conditioning can literally be a lifesaver for the elderly and other persons in delicate health, as A/C units keep indoor temperatures within a tolerable range even when it’s dangerously hot outside. HVAC equipment also helps improve indoor air quality. It is very important to keep your HVAC equipment in good working condition. Sometimes, the problems begin with poor installation—that’s why you should get only experienced pros to set up these units for you. 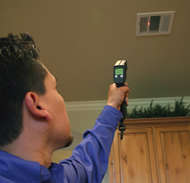 You should also call in a technician on a periodic basis to take a look at your system. This will prevent small problems from becoming large ones later. See for yourself why Christianson is a trusted heater & air conditioner company for so many people in Austin, San Antonio, and other Central Texas communities. Call us today for heater/air conditioner repair installation and maintenance help from trained professionals.